Development has started! Our new Linux will feature more options and more hacking tools than the last and look 10 times better! So far the details I can give are: FluxBox is still the default WM, boot time is around 15 seconds on an 800MHz AMD laptop. Broadcom driversâ€™ inject at high rates. Ath9k injects, Ath5k injects, and RT73 is gone. RT73usb injects perfectly fine. Intel wireless drivers are still being tested. The theme is now blue and not green. 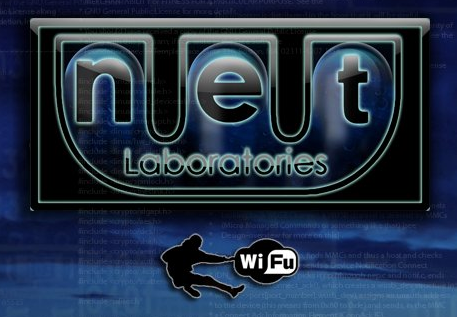 WNLA4 still fits on a normal CD ROM, and all of our new tools will be featured in software like â€œWeb Hacking Portal Version 5â€³, and â€œ1337tool version 5.â€ WardriveSQL will be accessible right from a web browser, with automatic setup! Our new kernel, built with support for packet injection, faster boot time, and much, much more. Lighter, Faster, Stronger, Sexier, and Better. We’ll keep you informed as soon as a version is available. Stay in touch with via Twitter.